Java Training in Chennai – Credo Systemz being accredited as the Best Core Java Training Institute in Chennai, we offer Real-time Project-oriented Java Training with detailed course topics briefing, practical training of real-time project scenarios, and ensure our sessions provide adequate knowledge to our candidate to cope with the industrial needs for both Fresher & experienced professionals. Our Core Java Concepts training involves the training program to cover from the subject basics to advanced level topics that are designed to suit from a novice to an expert level candidate. We are the leading Java Training Institute with 100% placement opportunities created for our trained candidates and placed in the Top MNCs in the country (Placed Candidates List). 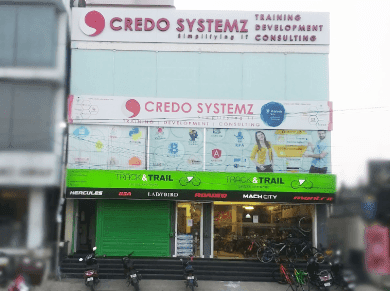 Credo systemz provide Job oriented Java Training & the unique Course plan drafted by our expert trainers, for the candidates to expertise in the programming language. Download our Core Java course content PDF for free. Many software giants such as Linkedin, Amazon, eBay are programmed in Java. Join the Institute which ranked No.1 in Top 10 Java Training Institutes in Chennai. Core Java is the basics of Java language, and is mandatory base to learn & equip you with the advanced topics. This details on the Java fundamentals, such as Applet, Swings, JDBC, etc., and provides you knowledge to develop Standalone applications or System Software applications. Core Java is the just basic building block of Java, similar fundamental exist in all of the programming languages. JVM –The heart of Java . Real-time Practicals: Print Hai! in the first line and print Hello how are you !! in the second line using single print statement. Get the Input 10 25 a 1.2 Rama via command line arguments and print the values one by one. Real-time Practicals: Swap the values with using temporary variable and without using temporary variable. Find the maximum of two numbers and three numbers using ternary operator. Real-time Practicals: Find the maximum of 2 numbers and 3 numbers without using ternary operator. Print the factorial of 5! OOPS Designs with real-time examples. What is mean by class and object? Real-time Practicals: Give the real time example for Object and describe its properties and functionalities. Analyse the OOPs Concepts and give real-time examples of all OOPS concepts in your own thinking. Types of Variables and its uses. Real-time Practicals: Get the real time examples for static variables, final variables and instance variables in your own thinking. Create the Class Student with School name - “Gandhi School”, roll_no and name. Create the objects and assign the roll_no and name values using the constructor and display the student details using methods. Real-time Practicals: Try to get the real time scenarios for all kinds of inheritance in your own thinking. In College, We are having 3 kinds of Teachers. For Ex: English Teacher, Tamil Teacher, Maths Teacher. These Teachers having different main subjects but their designation is ‘Teacher’, college is ‘Nehru College’ and functionality is ‘teaching’. Achieve this using Inheritance and display the details of 3 teachers. Method Overloading and its uses. Real-time Practicals: 1.Print the String, Integer, Float values using Method Overloading. 2.Create Superclass “Human” with eating functionality. Create subclasses Young Boy, Women, Baby etc., and Override the eating functionality. Print the favorite food for humans. Real-time Practicals: 1. We are having Class AOne. In this class create static variables and static methods. And try to access these variables and methods in Package B classes without using class name and creating an object. 2. Create the class Account with account number and account balance as private members. Set the Account number and deposit the amount. Show the Account Balance. Write the program to achieve this by using Data Encapsulation. Real-time Practicals 1.Write a program to generate the Null Pointer Exception and Number Format Exception. Handle these exceptions with multiple catch blocks. 2.Create the custom exception called “AgeExceedException”. 3.Get the age from user. If age exceeds 35 then throw the AgeExceedException with message “You are not eligible candidate to apply for this position”. Real-time Practicals 1.Get the console Input using BufferedReader. Create the File having following Content : Credo Systemz is best (way of teaching) and the study materials are really excellent. ------------------ 2.Read the File and Find the String within the ( ) opening and closing paranthesis. And write the String in another File. Operators and Clauses in MYSQL. Functions and procedures in MYSQL. Real-time Practicals Create a Database “shop” with tables and appropriate fields in your own thinking. Create the Table Employee with Employee number, name and salary. Real-time Practicals Get the Employee details emp_no, name, salary, address from the user and store the values into database using Prepared Statement with batch update. Display the Employee details from database those who are having a salary more than 7000 using ResultSet. What is multithreading and advantages. Life Cycle of a Thread. Real-time Practicals Create 3 threads. Each thread has to print Multiplication tables (2 tables, 3 tables, 4 tables) simultaneously. Print 5 Divisables and 2 divisables upto 50 using synchronization. Real-time Practicals 1.Get the String “Java*programming*language” using Scanner Class. Split the String by using delimiter (*) and display the tokens and count the number of tokens using String Tokenizer. 2.Get the String “Java is my favourite language. Java is my profession” from user. Search and display the text java and index position of java using regular expression. Real-time Practicals 1.Remove duplicate words and characters from String using Collections. 2.Get the employee names from the database and store the employee names in List. Display the names in ascending order and descending order using ListIterator. Real-time Practicals Create the class employee with name, employee_number, phone. And store the employee objects in generic collections. Sort the custom object generic collection by employee name. Real-time Practicals Get the Registration Details (Name, Gender, Phone_number, State, Country) from the user using Swings UI. And store the values in Database. Detailed instructor led sessions to help you become a proficient Expert in Core Java. Build a Core Java professional portfolio by working on hands on assignments and projects. Lifetime access to downloadable Core Java course materials, interview questions and project resources. What’s Unique for you to learn with us? Detailed Course Plan to help both Fresher & Experienced Professionals. Flexible training pattern, allowing candidates to choose between week day or week end sessions. Skilled & expert trainers with 10+ years of IT industry experience. Complete Hands-on Java training in Chennai with 100% Placement Assistance. Training sessions take account of both Theoretical & mandatory practical program development as well. To cater to any special needs of the candidates, we offer Online Java Training program as well. Professional teams to assist with Career guidance, Interview preparation, Mock Interviews, Placement Counselling, Java Certification Assistance, Resume writing and Job updates. Customisable Advanced Java Courses to include Advanced Java, Java J2EE, Spring, Hibernate, Struts to enhance your skillset from novice to an advanced professional. Ranked as No.1 Java Training Institute in Chennai providing best Java training in the city with nominal course fees. Core Java Training in Chennai with 100% Placements in Velachery Chennai - Our training program is designed in a way which helps the fresher candidates to get their dream jobs easily as a Java developer. Our placement candidates list will show you the concern we have towards the future of our candidates. Mock Interview after the completion of Core Java Certification training which helps the candidates to gain confidence during interviews. First of all, Step by step explanation about basic to advanced Concepts. Practical Oriented training, which will give the best learning experience. Furthermore weekly assessment to test the candidate programming skill. Resume Preparation and Interview Guidelines. Professional approach towards training using latest techniques. Unlimited lab / practice environment access provided to all candidates. Flexible batch schedule – Attend missed sessions with next batch. Free communication program for fresher candidates to develop their skills. Core Java training with live project which helps to meet the industry standards. Expert designed Core Java training for freshers with placement assistance. Core Java training from basic to advance level. 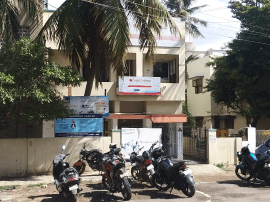 Minimum Core Java training cost in Chennai. Job oriented Core Java training concepts with more number of practical sessions. Ranked as Best Java training institute with 100% placement assurance. Minimum java course fees in the city with the best training. What are the Prerequisite to join Core Java Training? Gain familiarity to the features of Java Language. Discover & learn to write Java code according to Object-Oriented Programming principles. Equip you to get well versed in concepts such as Classes, Objects, Inheritance, Polymorphism and Interfaces. Design GUI applications and Applets using AWT and Swing. Work on Multithreaded and Networking applications. Educate with handling database applications using JDBC. Regular classroom based training: 4 weeks, 90 minutes of Practical + Theory session per day. Fast Track (1-1): 15 days. Choose your options for week day or week end classroom training. Will you guide me for Interview preparation? Assessments - Our training pattern includes conducting frequent assessments to understand your technical competence & brief your areas of improvement, during the tenure of the course. Interview Questionnaire - At Credo Systemz, a dedicated team is available to collate the frequently asked questions in the Top MNCs, and will share the questionnaire with our candidates. Mock Interviews - At the end of the course, a team of highly qualified real-time IT technical experts from the industry assess your knowledge on the language, by conducting interviews, and share the feedback so you can crack the interview with confidence & at ease. Resume Building Services – Expert trainers guide our candidates on the Resume preparation which will profoundly help you put your career on track. As a Core Java developer, what next can I learn ? Core Java with Selenium Automation Testing. Core Java with Android App Development.